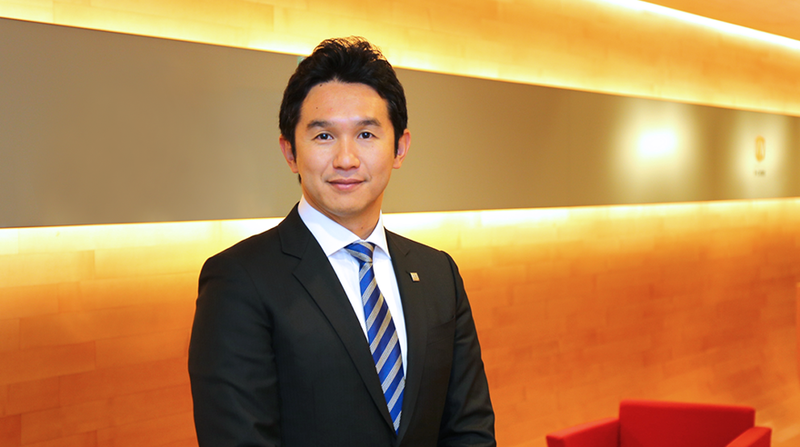 CEO's Message | V-cube, Inc.
Naoaki Mashita / President & CEO (Founder) / V-cube, Inc.
Business and learning are born out of communication. That is why, meeting is essential for business and learning. Because when we meet, we are able to convey things that can neither be conveyed via phone called nor erased from letters and e-mails. We know this from experience. However, meetings are no long limited to a 20km radius. Nowadays, we need to travel distances that are only accessible by planes, trains and cars. Some destinations could take at least a day to reach. There is never enough time. Our goal is to improve the current situation through technological innovation. V-CUBE introduces a new dynamic to web conferencing with best technology, allowing communication to be as good as seeing all parties in person.Our goals are not to simply "offer a tool that makes web conference more convenient".We look to enable users to visualize communication beyond the limitations of phone calls, letters and emails.When we are able to “see” communication, we would be able to see all nuances to understand the underlying message beyond what words can convey.Relationship with coworkers and customers is improved without meeting in person. Cost for such purposes are reduced. Therefore our goal is to help users visualize information, cost and people more effectively. Through visible communication, V-CUBE aims to not only change the communication styles of businesses and learning environments in Japan, but everywhere else in the world.